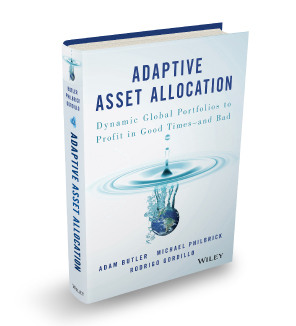 We are happy to announce that our book, Adaptive Asset Allocation: Dynamic Global Portfolios to Profit in Good Times – and Bad, is now available. We are also honored to be working with John Wiley & Sons, one of the largest publishers in the world, especially in the academic and professional space. Exactly one month ago clients of ReSolve Asset Management received our 2015 annual letter, entitled “Navigating Active Asset Allocation When Diversification Fails”. People who signed up for our email distribution list received it about a week later. We hope you enjoy the following excerpt, and invite you to download the full report …. As we’ve written many times in the past, the human brain is not wired for objective assessment. Through the ages, environmental influences drove our brains to evolve survival mechanisms that interpreted the world by observing – and ultimately inferring – causal connections. Missing the forest for the trees: Asset allocation over security selection.